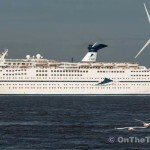 The ferry between Gravesend and Tilbury was of action on Thursday (4th) after being struck by a 222-metre long cruise ship leaving London Cruise Terminal, Tilbury, yesterday. 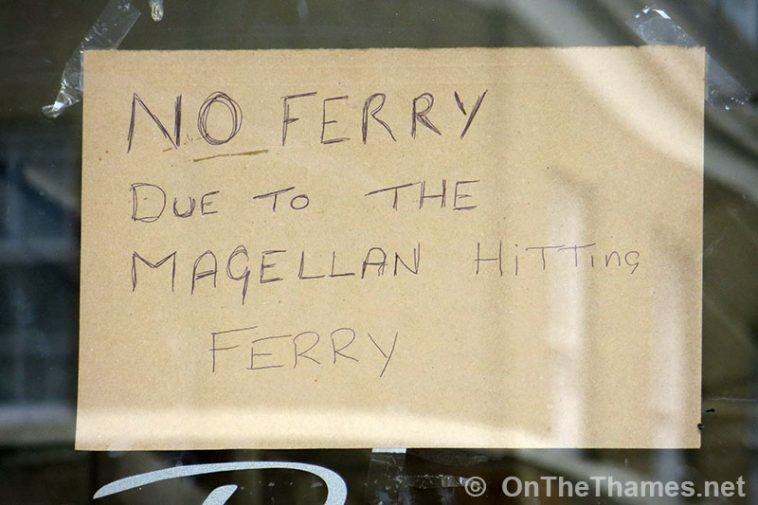 A handwritten sign at Gravesend town pier notified passengers that the Duchess M ferry was not operating due to "the Magellan hitting [the] ferry." Although it's not thought the ferry was damaged, she was moored at West Street Pier today awaiting checks before she resumes operating the service. 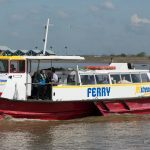 Due to a cruise ship striking the ferry last night, the Tilbury to Gravesend ferry service is temporarily suspended until safety checks are completed and the authorities are happy that the vessel is able to resume usual service. 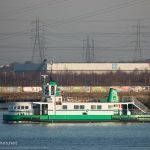 MS Magellan's departure from Tilbury yesterday afternoon was unaffected and she is currently on her way to Invergordon. 27-metre long Duchess M was originally named Vesta and was built in 1956 to operate between Gosport and Portsmouth. 46,000 tonne MS Magellan was originally named Holiday until coming under the Cruise and Maritime Voyage umbrella last year. 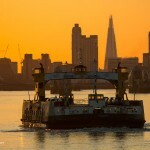 Update: 5th August - the Tilbury ferry has resumed service today. 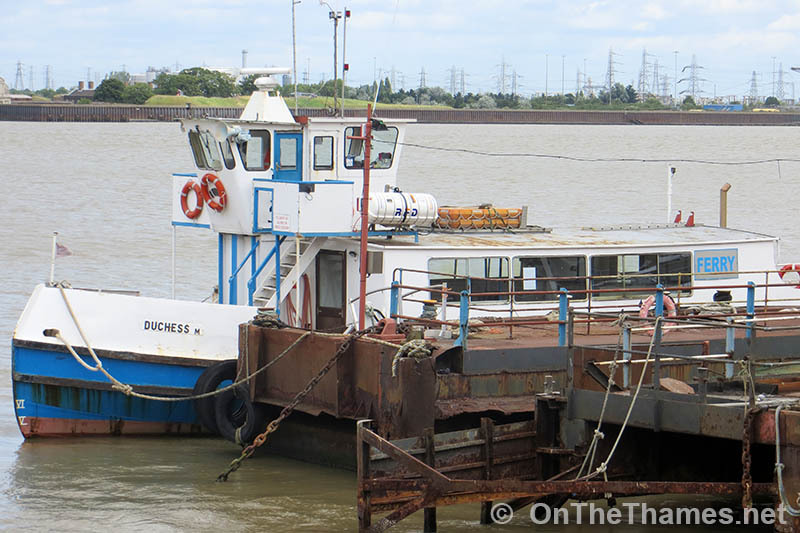 Duchess M at West Street Pier today awaiting checks before resuming service. File picture of the Magellan cruise ship and Duchess M.
Presumably the MS Magellan will be billed for all out-of-pocket expenses? Although we don’t know the facts, in a situation like this, I cannot see that blame for the collision can be anything other than 100% with the Duchess M, (the ferry), as the cruise ship Magellan would have been far more restricted in her ability to manoeuvre. The Duchess M should have kept well out of the way. 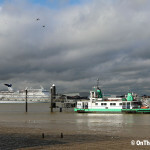 Hi Ken – the Duchess M was actually at the landing stage at Tilbury and was seemingly struck by the departing Magellan. There’s some video footage online which doesn’t clearly show the contact but gives the idea of what happened. Will see if the videographer will make some stills available. My videos shot from the seawall near The World’s End pub suggests that the ferry was still embarking passengers as Magellan started moving forwards. It also appears that Magellan was rather stern outwards and not parallel to the landing stage. If so, then as she initially went forward and with limited rudder action, she would have moved slightly towatds the end of the landing stage where the ferry was still moored, Were the bow thrusters of Magellan working? When I was on the landing stage some 20 minutes earlier there were some rather loud, unhealthy sounds coming from inside the bow area of Magellan. After effects of the coming together may also be responsible for the partial collapse of the downstream landing stage dolphin. It is now considerably lower in height and well out of horizontal. I have tweeted both photos and video on Twitter. Unfortunately I did not carry out a continuous sequence. Rob has been given permission to extract stills. The Duchess M was moored when the Magellan hit her so how the ferry was responsible I do not know .Please get your facts right. 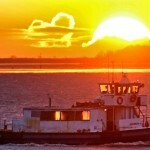 Eye witnesses seem to have different opinions as to what happened in the Magellan and ferry incident. Got this from the Thurrock Gazette. 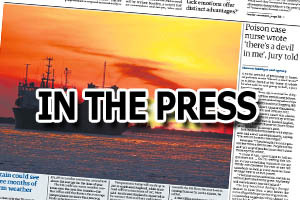 A spokesman for Cruise and Maritime Voyages said the ship was affected by a “strong gust of wind” which caused it to come into “minor contact” with a local ferry. Investigations were ongoing with the authorities, the spokesman said. A spokesman for Cruise and Maritime Voyages said: “CMV confirms that the cruise ship M/V Magellan, while departing from the Port of Tilbury at around 5pm on August 3 2016, was affected by strong gust of wind with the result that the M/V Magellan coming into very minor contact with a local ferry. “CMV understands that no passengers were injured in this accident and that damage to the ferry is limited to superficial to the ferry’s paint. 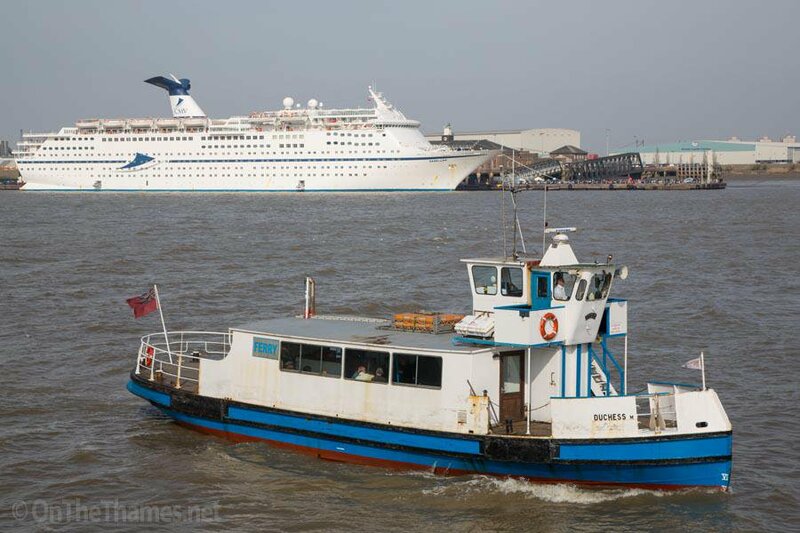 From the Cruise Capital website…..
“The local Tilbury to Gravesend ferry, Duchess M, was moored alongside at the Tilbury Landing Stage, along with Cruise & Maritime Voyages’ flagship Magellan.